I have written this book for my family and children so that they know where they came from. 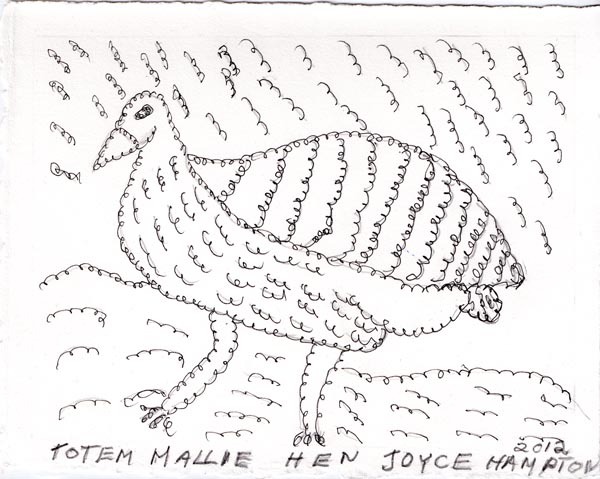 Perhaps it is true of any life that if studied in detail it unfolds exponentially, but perhaps not all are as unique and also representative as Aunty Joyce’s. It is a great gift to us all that her book is being made public. The book is co-designed with Nives Zalokar and Bernard Sullivan, and formed part of Bernard Sullivan’s doctoral thesis at Charles Sturt University. 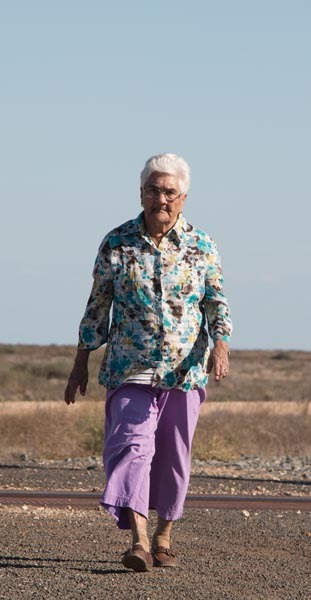 Aunty Joyce’s life mirrors the journey of many people from the far west of the state including Ngiyampaa and Paakantji, who, within the Twentieth Century, were moved onto camps for the first time, became part of the Aboriginal missions and reserves system, and then, with the resettlement period of the 1970s, moved on to major inland centres like Dubbo and Wagga Wagga with the promise of jobs, better housing and education opportunities for their children. In this time they were moved off their Country, language was actively discouraged and significant aspects of culture, kinship and identity were lost. Yet Aunty Joyce, in the way she carries herself, in the way she describes her story in an understated way, still holds much of her culture and history. Her book represents the continuation of her culture. She remains strongly connected to Country. 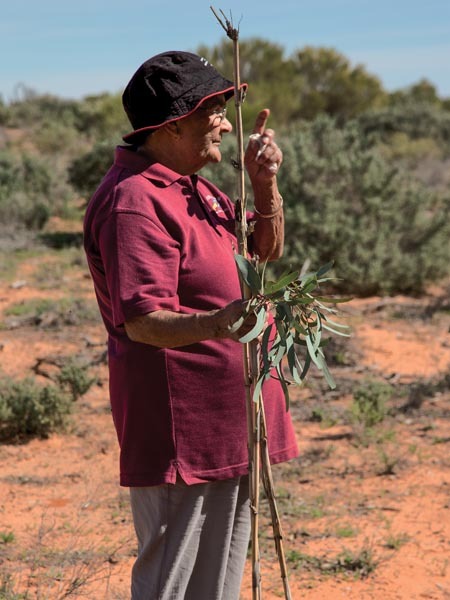 The photographs of her on Country show how she draws strength from it, for example, in the photograph of her walking towards the camera at Trida taken by Nives Zalokar, or standing firm, holding a piece of bamboo from the same plant her Aunt had planted long ago on Menindee mission. 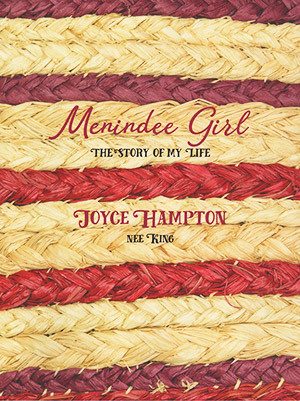 Aunty Joyce is well known for her beautiful weaving which is featured in the book’s cover design. Throughout the book her unique prints and drawings vividly describe her life journey. Historical photos are complemented by contemporary photography by Nives Zalokar and Bernard Sullivan. Aunty Joyce’s clear and simple words lead us on a journey through her life, with her hand in the design of every page, laid out in a beautiful full colour large format book. Her life story describes not just who she is now, as a senior Elder in Wagga. Like one of her weavings, it joins the threads and makes links to all the peoples and places of her life’s journey, ultimately stretching back through her to her Ngiyampaa ancestors and their Country. She provides evidence of the continuation of the web of interconnection to family, culture and country that for her now stretches all over NSW. Aunty Joyce, in her quiet strength and elegance, demonstrates what it is to be a Ngiyampaa Elder. Previous post Canberra Book launch – Yindyamarra Yambuwan book now available.